Projects Margaretta – Boreas Heritage Consulting Inc.
Margaretta Property Expansion – Clyde Street Developments Ltd. 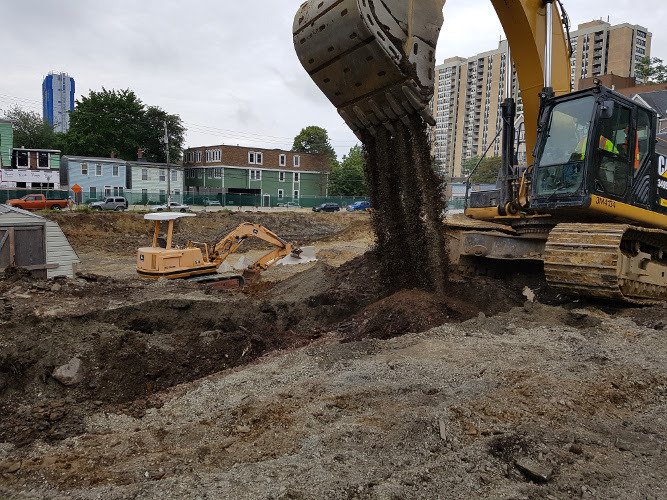 In January 2018, Boreas Heritage was retained by Clyde Street Developments Ltd. to assess the potential for impacts to archaeological resources associated with plans to expand the footprint of the new Margaretta commercial and condominium development in downtown Halifax. 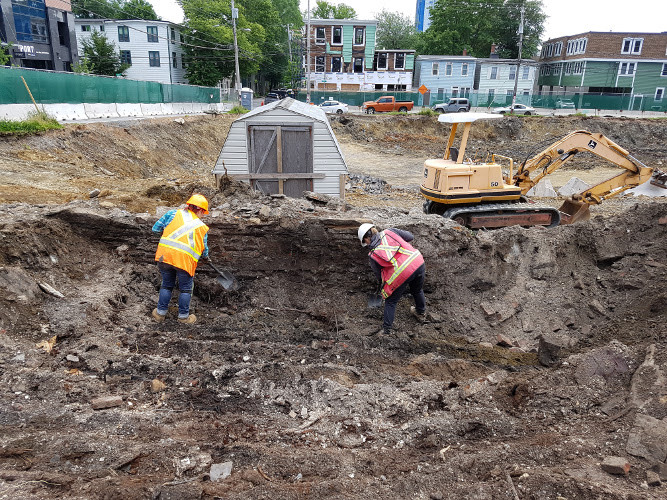 An archaeological assessment of the Margaretta Property Expansion was completed under a Heritage Research Permit issued by the Nova Scotia Department of Communities, Culture and Heritage – Special Places Program. 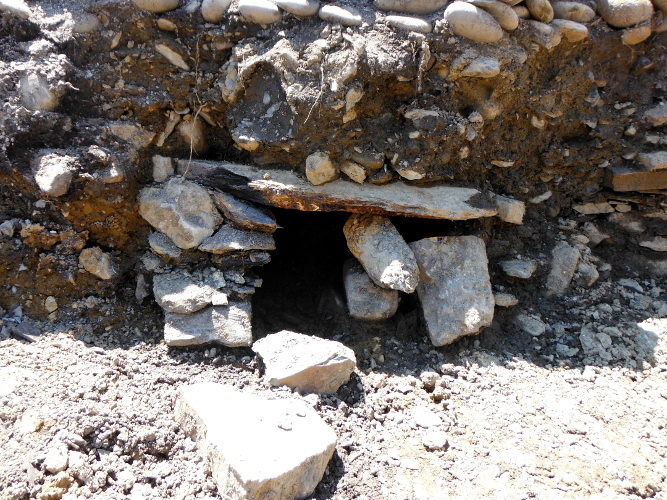 Boreas Heritage conducted archaeological screening and monitoring of mechanical excavations down to sterile bedrock. Background research of this property identified potential for three nineteenth century house foundations. 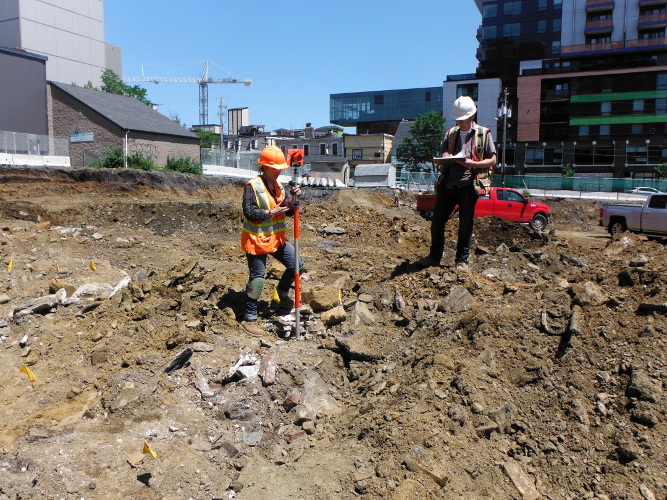 On-site monitoring of the mechanical excavation yielded nineteenth century artifacts associated with two features – one was heavily disturbed by previous construction on the property, the other, a house foundation found immediately beneath the gravel parking lot adjacent to Birmingham Street. The features were recorded, and the associated artifacts were recovered for analysis and curation. © 2019 Boreas Heritage Consulting Inc.